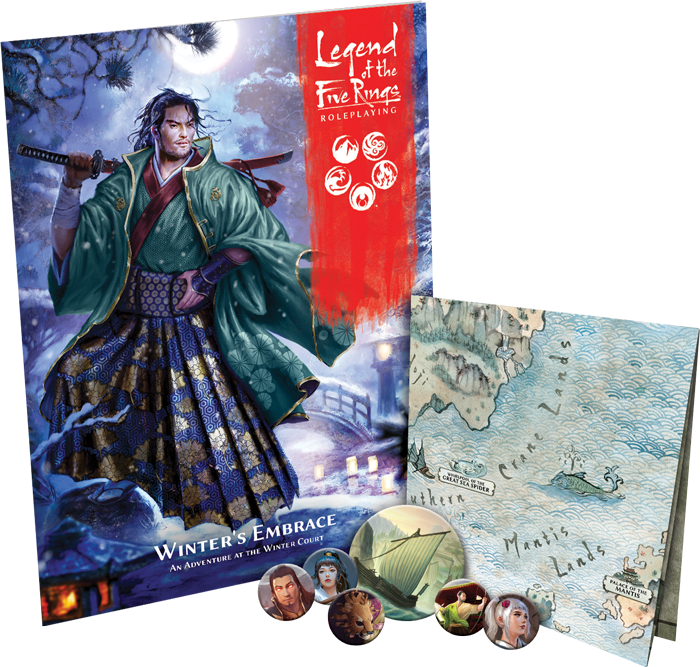 Fantasy Flight Games has two new products heading your way for all your Legend of the Five Rings RPG action – Check’em out! If you’re a fan of adventuring in the land of Rokugan, FFG has two new products you’re going to want to keep an eye out for. Coming in the Second Quarter of 2019, both of these books are going to be great for running your games of L5R RPG. 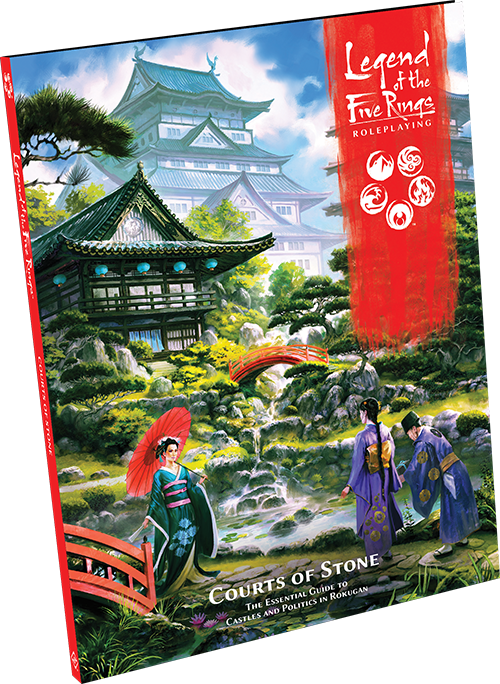 Spin your webs of intrigue and betrayal with Courts of Stone, the second sourcebook for the Legend of the Five Rings Roleplaying Game! This 144-page setting guide takes you inside the mighty castles and courts that act as the political centers of Rokugan. Here, courtiers scheme to destroy their enemies. Treachery lies behind every false smile, and spies and assassins lurk in every shadow. Courts of Stonedetails the treacherous battlefields of words and intentions, as well as the courtiers who plot the course of the Emerald Empire and their Shinobi agents. Along with Gamemaster support for running adventures based around politics, romance, and intrigue, you will also find a wealth of information about the masters of the court, the Crane Clan. Do you have the cunning to survive the courts of Rokugan? A new sourcebook and a new pre-constructed adventure? Sign me up! It’s time to sharpen your sword and hone your spirit – off to Rokugan we go!